"Within one hour of going on sale this morning, Queen + Adam Lambert’s thirteen date UK and Ireland tour set for later this year has sold out. As a ‘thank you’ to fans, the band have hastily scheduled one extra, final date. Following their three London shows (December 12, 13, & 15), the band will now end their tour with a return for a second show at Birmingham’s Barclaycard Arena on Saturday 16 December. Tickets are on sale immediately." Read more at the Queen Official Online Link HERE (or in the tweet below). The full UK schedule is included. These are in addition to the earlier in the fall concerts in Europe and the US & Canada Summer Tour 2017. How thrilling!...especially for Brian and Roger...instead of Queen being retired...they have risen up from the "ashes"...thanks to Adam...Queen is becoming (maybe already is) greater than ever! They simply HAVE to release an album of Queen and Adam Lambert renditions of their music -- that is as much a part of their legacy now as Freddie was!... and certainly of Adam's. Please, everyone, CLAMOR for their release of that DVD they made of the Tokyo SummerSonic concert!!!!!!!!! I am reading that many of the tickets are being grabbed up by resale agents at the expense of fans who are having difficulty in booking tickets at all. 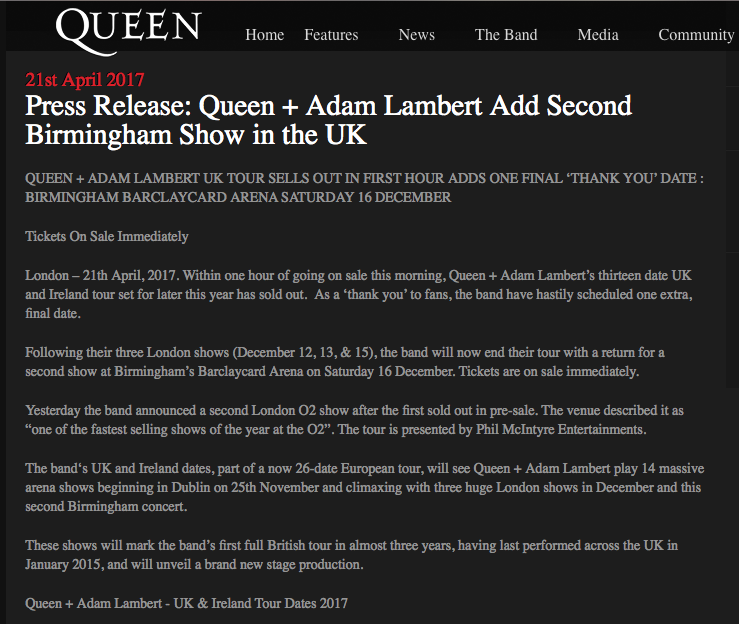 While this is a global practice, it seems especially brutal in the UK - hopefully the QAL promoters are made aware. I HATE the ticket brokers. They ruin it for the real fans. I've heard that even at concerts like Adele, Gaga, etc., there are often empty seats due to the brokers buying big ticket blocks. 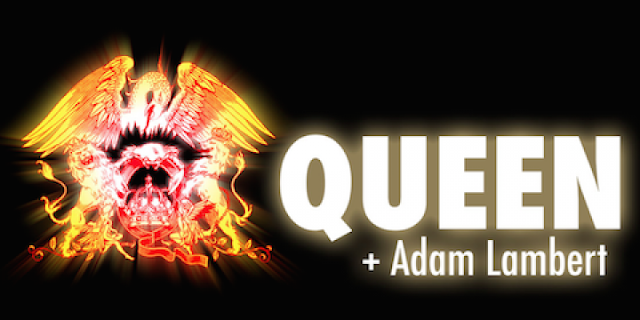 I hope the US QAL tickets are selling well. The US isn't the Queen crazy fan base that the UK is, but I hope.most venues do sell out. There are some big ones on the tour. The more who hear Adam, the better chance he'll have at good sales for his solo album. Sorry about multiple posts. Darn phone. These resale agents need to be stopped. I was lucky enough to get tickets via the fan club but it's not fair on fans as the tickets are expensive at the best of times.